Tucson Cold Wet Noses is a 501c3 non-profit dog rescue and adoption organization. 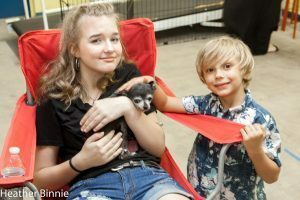 We were founded by a group of local dog lovers whose goal is to rescue dogs from the local shelters (PACC, MCACC, PCACC and The Arizona Humane Society) and find them their perfect homes through successful adoptions. Our ultimate goal is to have successful adoptions, a perfect match between the dog and their new owner. Tucson Cold Wet Noses is not a breed-specific rescue, but we do get our share of Chihuahuas, Pit Bulls, Jack Russells, Miniature Pinschers, Chow Chows, Labradors and all of their mixes. Tucson, as well as all of Pima County, has many Pit Bull/Pit Bull mixes, many of whom find themselves at the local shelters for adoption. The bulk of the dogs we rescue and later adopt out are senior dogs because they have a tougher time finding adoptive homes. We are sorry, but we have our hands full taking in dogs from shelters and there are always more waiting for rescue. We cannot take in dogs from the general public. We only have room in our foster care system for rescued pets. Senior dogs need love too! Donations always welcome! 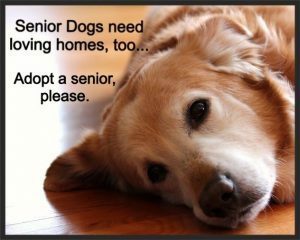 As many of you know, Tucson Cold Wet Noses rescues the seniors, the dogs with medical needs and the hospice cases. We rely on generous donations throughout the year to keep our medical fund going. We commit to caring for these dogs to the best of our ability, no matter what. We can really use your help! If interested in donating, please click the "Donate" button. If interested in setting up a monthly donation plan, please click the "Subscribe" button. Both will take you to Paypal.